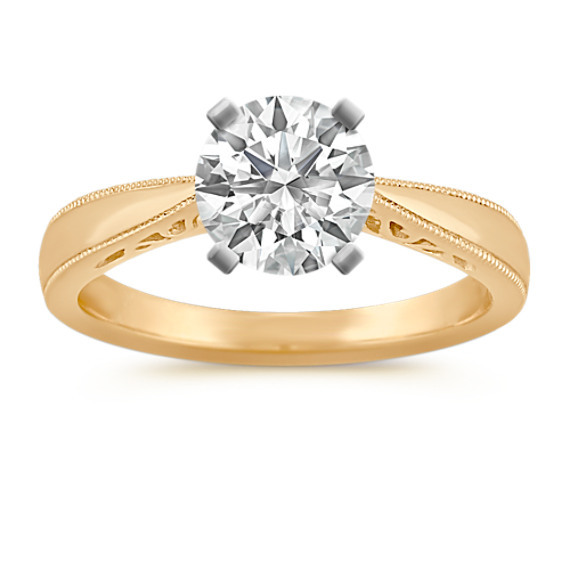 14k Yellow Gold Engagement Ring | Shane Co. This cathedral engagement ring is set in quality 14 karat yellow gold and includes a unique filigree design on the side of the ring. This ring is 3mm wide at the sides and awaits the center diamond of your choice to complete a magnificent look.